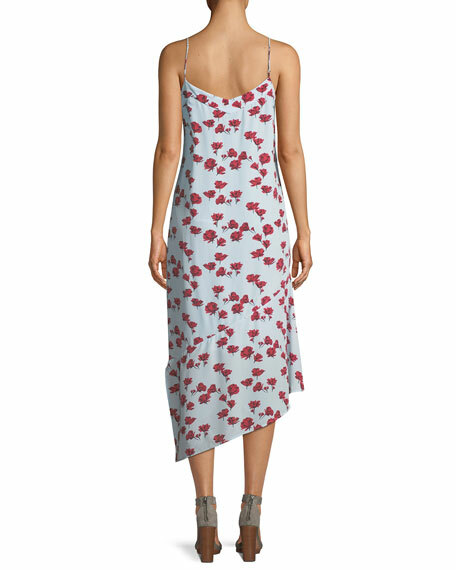 Equipment "Jada" slip dress with floral-print. For in-store inquiries, use sku #2504474. 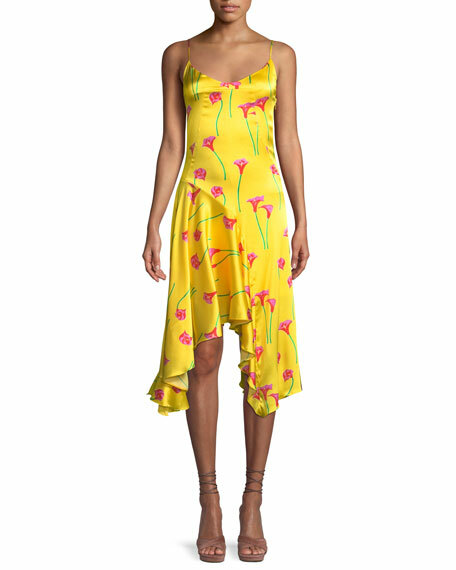 Caroline Constas "Marie" dress featuring calla lily print. V neckline. Spaghetti straps. A-line silhouette. Asymmetric flounce hem. Midi length. Side zip closure. Silk/spandex. Made in the USA. Exclusively ours. 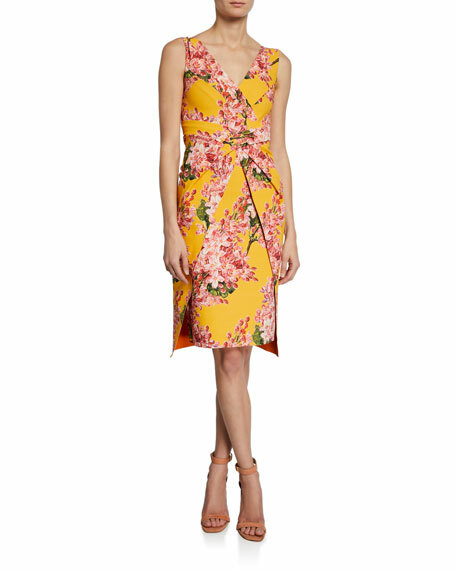 Chiara Boni La Petite Robe floral-print cocktail dress in stretch jersey with pleated bodice and skirt overlay. V neckline. Sleeveless. Body-con silhouette. Knee-length. Raw-edge hem for ease of tailoring. Step-in style. Nylon/spandex. Made in Italy. 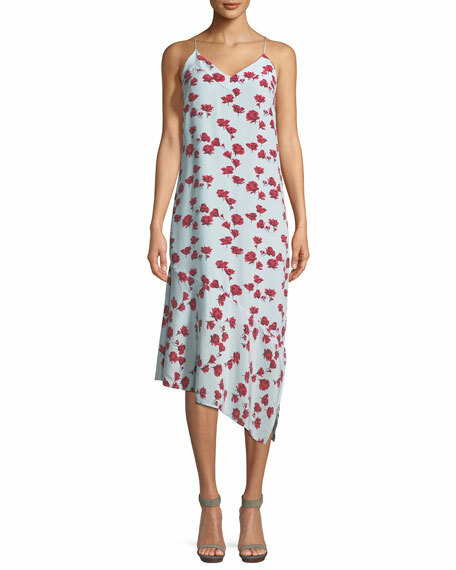 Chloe dress in floral-print georgette. V neckline; lace bodice. Sleeveless; cami straps. Self-tie waist. A-line silhouette. Ankle-length. Viscose; lining, polyester. Made in Italy.